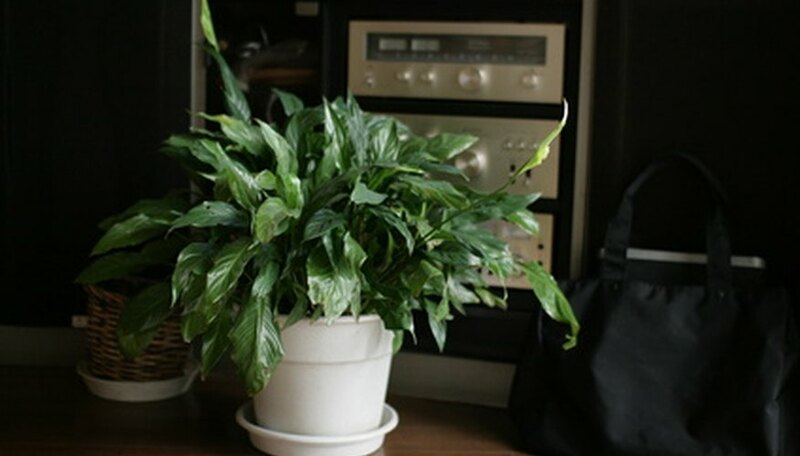 The roots of indoor plants are vital to their health, and yet their condition and requirements are often neglected because we can’t see them. Different plants prefer to grow their roots at different soil depths. The depth which roots grow is also influenced by watering habits. Brief waterings promote shallow roots. Plants with naturally shallow root systems like Aloe and Jade are low maintenance. These succulents, and others with shallow root systems, don’t like soil that stays wet. They thrive because water evaporates quickly from the first 2 inches of soil. Even tall varieties like corn can have very shallow root systems. Plants growing deep roots like them to stay moist. When plants that like moisture are only given small amounts of water they grow their roots near the soil’s surface and suffer when that soil dries out. Signs of distress are wilting and dull leaf appearance. When you water plants with shallow roots it is important not to pour water in only one spot. Cover the entire surface with a gentle spray of water. Water that is concentrated in one spot can rot shallow roots and cause those in other areas of the pot to dry out and die. Add mulch to moisture-loving plants that have developed shallow roots. Cedar, pine and cypress are good, but even pebbles will help the soil stay damp. The soil should not be disturbed by further cultivation or by installing decorative stakes and signs. Plants with naturally shallow root systems like smaller pots with good drainage. They need frequent watering and soil that dries quickly. Encourage plants that like moisture to grow deep roots by placing them in deep pots with rich soil. Drainage is important. Even plants that like moisture will rot quickly if their roots are submerged in water for long. Epiphytes are plants that do not grow roots in soil, but attach them to other plants or man-made objects. Orchids are an epiphyte commonly grown as a houseplant. They grow aerial roots above the bark and charcoal chips used in their pots instead of soil.